Full of wholefood nutrition, cashews are rich in monounsaturated fats, protein, fibre and B vitamins. They are also a great source of essential minerals such as iron, magnesium, zinc, phosphorus, manganese, copper and selenium, making them the ideal choice for people on the go or if you need extra “clean calories” without the bulk. We love them in combination with cacao nibs. 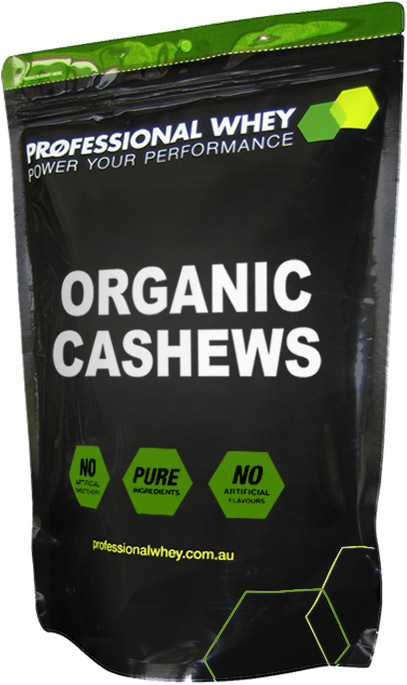 Organic Cashews are great to snack on alone or used in combination with a protein shake or even in your favourite dish. For increased mineral absorption soak overnight in water and sun/oven dry. I am so pleased to be able to buy these for my teenage son who WAS a potato chip muncher. He now munches on cashews and takes them to College as well! I was sooo happily suprised! The only downside is that I have to order them more often! It goes to show that if you buy your kids good quality healthy snacks like cashews, as they are really tasty nuts, that they will eat them over potato chips. So these were a real winner! Very pleased, indeed. I bought these as well as almonds and walnuts all of which I have found to be equally fresh, delicious, and of obvious quality. 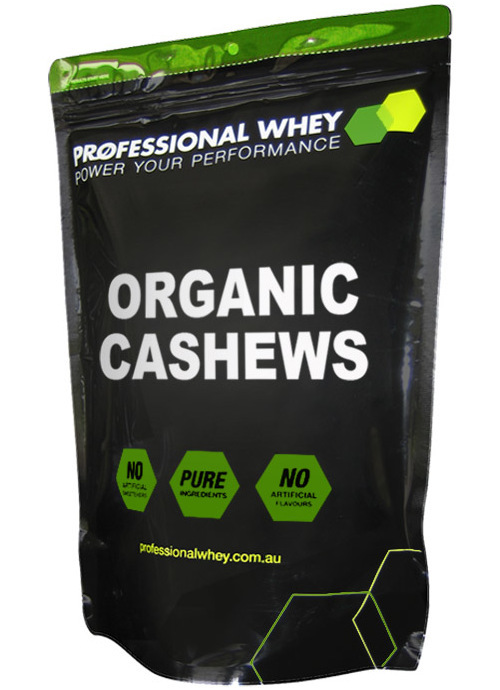 I am now waiting for my second order to arrive and I will continue to buy various orgainic products from Professional Whey on a regular monthly basis.